"Before I came here I heard a lot of words about the China- Malaysia relationship from the business community. Just like 20 years ago, many people were worried. I think worrying cannot solve problems," he said. KUALA LUMPUR: There is nothing wrong with reviewing projects, says Alibaba Group executive chairman Jack Ma (pic). "[I heard] there will be reviews. So what? Our companies have reviews every quarter. We need to have reviews all the time to determine what is right and what is wrong," said Ma at the opening of Alibaba's first South-East Asia office on Monday (June 18). Ma said this after a meeting with Prime Minister Tun Dr Mahathir Mohamad on Monday (June 18) morning. Under the premiership of Dr Mahathir, the newly-minted government has said they would review projects that it deems unfavourable. Red flags have also been raised on two projects undertaken by China's state-owned companies, namely the East Coast Rail Line and two pipeline agreements worth RM9.4bil. Ma flew to Kuala Lumpur to officially launch the group's office in Malaysia. Other guests of honour were Finance Minister Lim Guan Eng, Communications and Multimedia Minister Gobind Singh Deo and Chinese ambassador to Malaysia Bai Tian. In his speech, Lim said he welcomed Alibaba's continued commitment to Malaysia and appreciate the group's eagerness to work with the new Government to help spur new investments, create new jobs and economic opportunities for Malaysians.
" 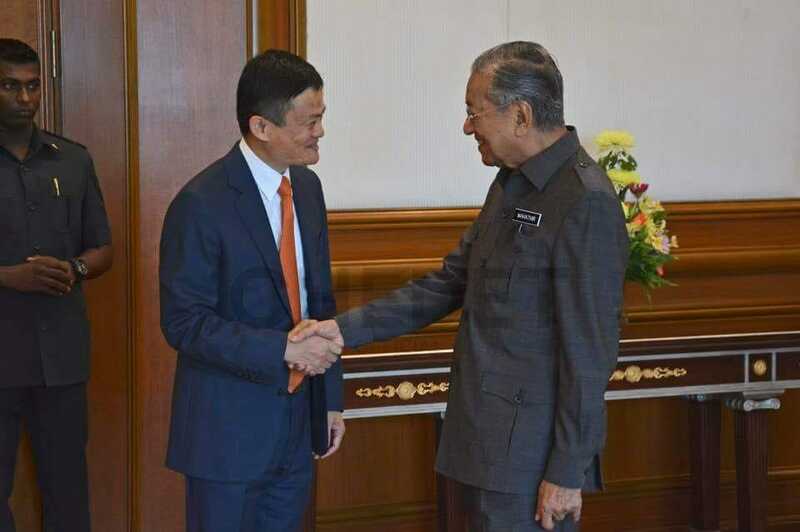 We consider this (the opening of Alibaba's Malaysia office) a shining symbol of China-Malaysia friendship that is based on mutual respect and benefits that augurs well for cooperation on the part of governments, businesses and people from both countries," he said.